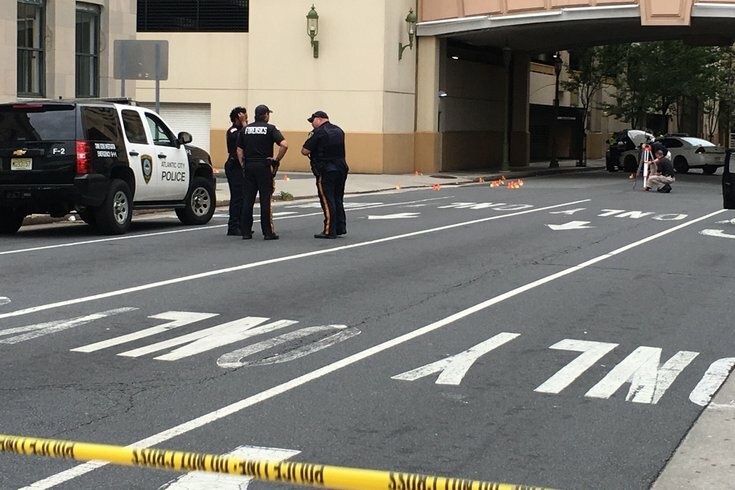 The family of a police officer who was shot in Atlantic City on Saturday morning has issued a statement condemning the attack and thanking all of those who have shown support over the long Labor Day weekend. Authorities announced Saturday morning that Officer Joshlee Vadell was seriously injured when a suspect fired at him during an attempted robbery near Caesar's Casino on the boardwalk. Vadell is currently recovering after undergoing emergency surgery. He is listed in critical but stable condition. I wanted to take an opportunity to thank everyone who played a role in helping us through this extremely difficult time. The individuals who have donated their time and resources to the comfort of our family as well as the capture of those responsible for this horrific crime are too numerous to name. Still, on behalf of my family, I do wish to acknowledge many of those who have helped. I want to thank the officer who partnered with Josh. Without him, Josh may not have made it and those responsible may never have been brought to justice. Also to the officers working that morning that got Josh to the hospital extremely fast so his medical treatment could begin immediately. I appreciate the thoughts, prayers and support of everyone in the community as we navigate this challenging next chapter of our lives while making sure Josh recovers. At this time, we would thank you for the continued respect of our privacy. One of the suspects identified in the shooting was fatally shot by a second officer at the scene. Police have since arrested two other suspects and have located and identified five other persons of interest. Three of those men were later determined to be victims of the armed robbery.